States' Employee Health Plans Tie Size Of Hospital Payments To What Medicare Offers : Shots - Health News Some states have begun using Medicare reimbursement rates to recalibrate how they pay hospitals. If the gamble pays off, more private-sector employers could start doing the same thing. The new strategy of some health plans for state employees is to pay hospitals a certain percentage above the basic Medicare reimbursement rate. It allows hospitals a small profit, the states say, while reducing costs to states and patients. Now some states — including Montana, North Carolina and Oregon -- are moving to control costs of state employee health plans. Their strategy: Use Medicare reimbursement rates to recalibrate how they pay hospitals. If the gamble pays off, more private-sector employers could start doing the same thing. "Government workers will get it first, then everyone else will see the savings and demand it," says Glenn Melnick, a hospital finance expert and professor at the University of Southern California. "This is the camel's nose. It will just grow and grow." "State workers can't afford the family premium [and other costs]," he says. That's what I'm trying to fix." The estimated $60 million in savings to health plan members, he says, would mainly come from savings in out-of-pocket costs. That approach differs from the traditional method of behind-the-scenes negotiating, in which employers or insurers ask for discounts off hospital-set charges that rise every year and generally are many times the actual cost of a service. Payments from private insurers, even with those discounts, can be double or triple what Medicare would pay. This state-level activity could be a game changer, fueling a broad movement toward lower payments to hospitals. Montana's state employee program made the adjustment two years ago; Oregon will start this fall. Delaware's state employee program is also considering such "Medicare-based contracting" as one of several options to lower spending. For hospitals, though, it can be viewed as "an existential threat," says USC's Melnick. Indeed, the treasurer's plan in North Carolina has drawn heated opposition, with a hospital industry-associated group running television ads that warn of dire financial consequences, especially for rural hospitals. When the plan first came out, the state's hospital association complained it would reduce hospital revenue statewide by an estimated $460 million. 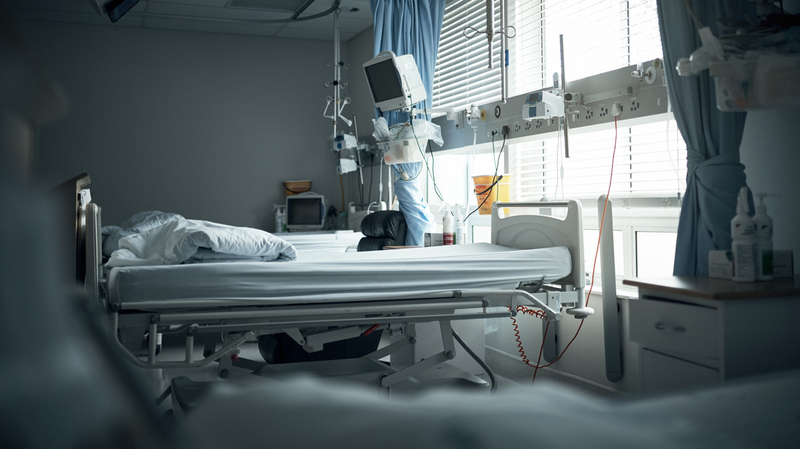 Hospitals in areas with large concentrations of state workers "would be getting reimbursed less than the cost of care," says Cody Hand, the association's senior vice president and deputy general counsel. "Our biggest concern is this is not something that we were at the table for in discussion," he says. Nationwide, hospitals have long complained that Medicare underpays them, and some hospital and business groups have warned employers that tying payments from state workers' plans more closely to Medicare could result in higher charges to private-sector businesses. "Even if Medicare pays a bit below cost, 177 percent of Medicare should be at least 50 percent above cost," says Mark Hall, director of the health law and policy program at Wake Forest University. "Is that a reasonable margin? I guess that's up for debate, but to most people a 50 percent margin might sound reasonable." Another concern some people have raised is that hospitals might refuse to join networks that employ these states' Medicare-based strategy. Indeed, Montana officials worked hard to get all hospitals in the state to agree to accept for the state worker program an average of 234 percent of Medicare's reimbursement rates. A few hospitals held out, right up to the deadline, backing down only after pressure from employee unions. To prevent that, Oregon lawmakers set the law's in-network reimbursement for hospitals at 200 percent of Medicare's reimbursement rates. But, those that opt out would receive only 185 percent. "Oregon thought it through," says Gerard Anderson, a professor at Johns Hopkins who researches health care costs. "Hospitals need to go on a diet," adds Anderson. "The private sector has not put them on a diet, but maybe the state employee plans will." "Health care is just becoming unaffordable," says Cheryl DeMars, president and CEO of The Alliance, a group of 240 self-insured employers in the private sector that directly contract with hospitals in Wisconsin, northern Illinois and eastern Iowa. In January, The Alliance began what it calls "Medicare-plus" contracting. As new hospitals join and existing contracts come up for renewal, the group is negotiating rates, basing them on what Medicare pays, DeMars says. "We want to pay a fair price and we're in the process of determining what that should be," says Kyle Monroe, vice president of network development for The Alliance. "Is it 200 percent? Is it something less?" Under traditional payment methods, the negotiated prices insurers for public- and private-sector employers pay for hospital care vary widely — by facility, treatment and insurer. But they're generally above Medicare rates by a substantial margin. But, so far, hospitals have held the line against this scenario and that's not likely to change. "They're going to fight like crazy," Melnick says. Kaiser Health News is a nonprofit news service and editorially independent program of the Kaiser Family Foundation. It's not affiliated with Kaiser Permanente.